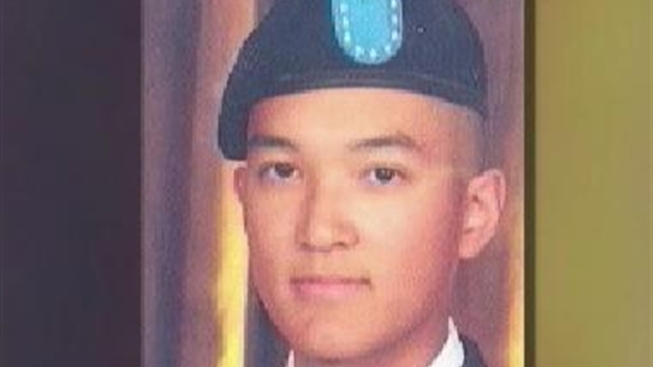 The army had said 19-year-old Danny Chen was subject to racially motivated taunts and bullying before he died. Eight U.S. soldiers have been charged in the death of Pvt. Danny Chen, the 19-year-old soldier from New York City who was found shot to death in a guard tower in Afghanistan two months ago. Chen, who is Asian and is from Chinatown, was found dead Oct. 3 with a gunshot wound below his chin. Army officials never gave details about his death, but it was believed the wound was self-inflicted. The military's investigation found that Chen had been the target of racially motivated taunts and physical attacks at the hands of his superiors and comrades before he died. 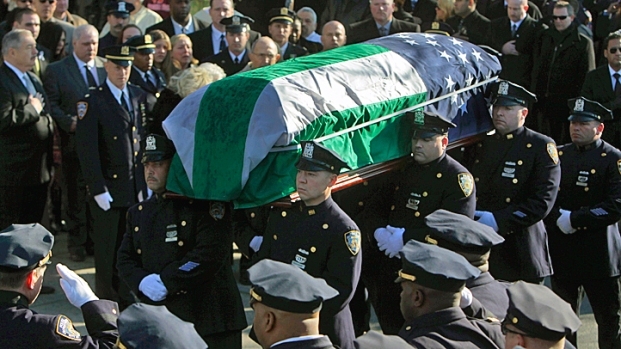 Five of the soldiers have now been charged with involuntary manslaughter and negligent homicide in Chen's death. It was not clear Wednesday whether investigators believe Chen shot himself amid the alleged bullying or someone else did. A community activist with ties to the family said Wednesday that relatives had been told Chen was dragged from his bed, pelted with rocks and forced to drink liquids while hanging upside down, among other abuse, during his short time in Afghanistan. He was deployed there in August, and had been in the military just seven months. "Whether suicide or homicide, those responsible for mistreating Danny are responsible for his death," said Elizabeth OuYang, president of the New York chapter of OCA, a national civil rights organization serving Asian Pacific Americans. The parents of Pvt. Danny Chen, a 19-year-old New York City soldier who died in Afghanistan last week, say they've been told by Army officials their son's death is being examined in a criminal investigation and that he was bullied by fellow soldiers before his death. Pei-Sze Cheng reports. The soldier's mother, Su Zhen Chen, told NBC New York the charges are a start, but there's a long legal process ahead. She hopes her son will get justice. Later at a press conference, she said through an interpreter that it is comforting "to learn that the Army is taking this seriously" and hopes the truth will come out. City Councilwoman Margaret Chin, who represents Chinatown, said "we cannot allow this to happen to our sons and daughters." "This is our country and we want to serve... but we expect them to be treated equally and fairly and to be protected," she said. Last week, hundreds of supporters held a vigil and demanded answers in Chen's death. The event came nearly two months after the army said it would launch a criminal investigation into the incident. At the vigil last Thursday, the soldier's family ramped up pressure on investigators, reading aloud letters Chen had sent home, reflecting the state of isolation he was in from being harassed by his comrades and superiors. "'Feb. 27, 2011: Since I am the only Chinese person here, everyone knows me by Chen,'" read Banny Chen, a cousin of Danny Chen. "'They ask if I'm from China a few times a day... They also call out my name Chen in a goat-like voice sometimes for no reason.'" "'People crack jokes about Chinese people all the time. I'm running out of jokes to come back at them.'" Chen's death is one of several recent cases of alleged hazing in the military, according to OCA, a national civil rights organization serving Asian Pacific Americans. The bullying of Asian-Americans is not only a concern in the military: A recent Department of Justice study revealed 54 percent of Asian students were more likely to be bullied in the classroom compared to just 31 percent of white students. Online, 62 percent of Asians are more likely to be bullied compared to only 18 percent of whites. "We don't like to file complaints, we don't make loud noise," said Chi Loek of the Organization of Chinese Americans. "So therefore if it's bullying, we look down on ourselves and assume we created the problems." Whatever the reason, activists agree that Danny Chen's tragic death is a reminder that victims should speak out.